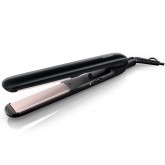 Get the perfect curl every time with the dual voltage Con-air CD89WCS. 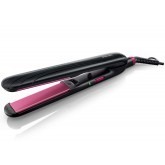 With 25 heat settings, you can get the most desired temperature for you hair type. With a 30 second heat up and power boost, you can get beautiful, long lasting curls quickly and with the best multi-layered technology. 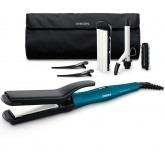 This dual voltage curling iron works for both 110 and 220 volts. Three of them are about 1.5 three are about 1" and four are about .75".